Falcon Foodservice Equipment is a global supplier of catering equipment. With a range of combination and conventional ovens, fryers, and steaming equipment; Falcon products are suited to a wide variety of kitchens, from conventional restaurants to cafés. Falcon pride themselves on the rigorous testing of their equipment. Their product testing process results in equipment that is able to deliver consistently great tasting food. Falcon have been producing catering equipment for almost 200 years, so rest-assured that their equipment is able to deliver quality results. K.C.S. 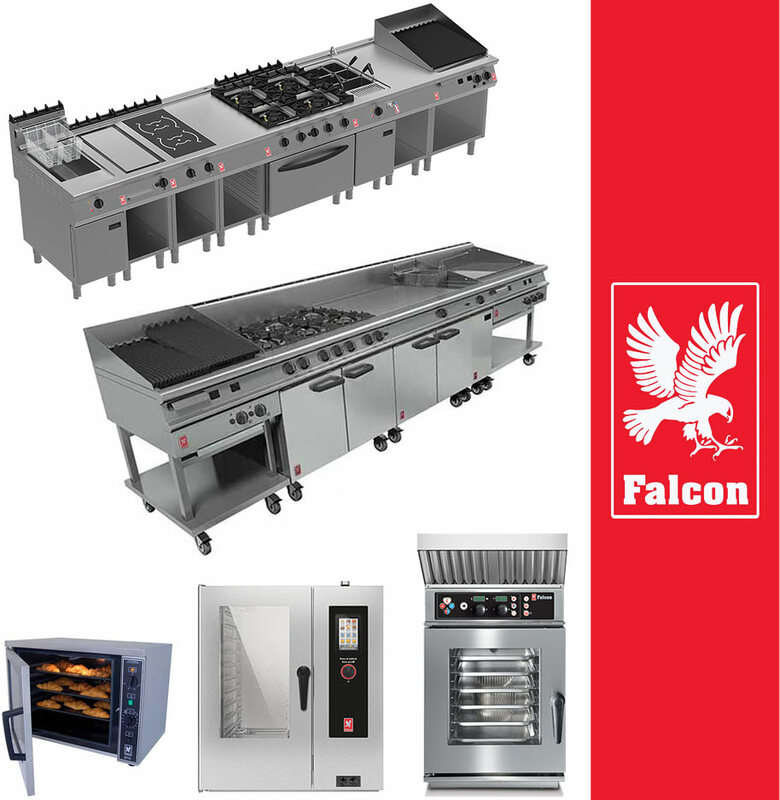 offers sales, servicing, and repairs of Falcon catering equipment. As a local Hampshire based company, we are able to be onsite within 24 hours of your phonecall for emergency repairs*. With an average review of 9.7/10 on Checkatrade, you can be rest-assured that you can count on our services. As experts of catering equipment, we can help you find the cooking devices that suits your kitchen’s specific requirements (including budget). In order to ensure food hygiene, regular servicing is a necessity. It’s also essential for ensuring gas safety, or else customers and staff may be in danger. We can be onsite to assess your repairs within 24 hours of your phonecall*, delivering a prompt and responsive service. For more information, or to hear about our service plans, please contact us. We are able to provide service and cover plans, allowing you to have peace of mind that if anything were to happen to your catering equipment, someone can be onsite soon to repair. Contact – or see our Total Catering Facilities Management page – for more information. Our Checkatrade currently has 100% positive comments (as of June 2017), so you can trust us to provide a reliable and honest service. To book an installation, servicing, or repairs, please get in touch.